We at Intercom Australia supply Aiphone intercoms and we offer very competitive pricing on the range of quality Aiphone intercoms. We ship Aiphone products Australia wide so we can supply quality Aiphone intercom products direct to your door. Select an Aiphone intercom system from the drop down menu or select our Most Popular Colour Video Model or our Most Popular Audio Model. Try our System Selector for suggestions of the most appropriate Aiphone models. We carry a wide range of spare parts for the older Aiphone intercom systems, so Contact Us to see if a replacement part is available for your existing Aiphone intercom system. We know Aiphone and have over 40 years experience with Aiphone so you will be confident you are receiving the right advice and we provide comprehensive technical support on all product we sell. Aiphone's reputation for reliability is second to none, with every model being designed and manufactured by Aiphone to give years of trouble free service. 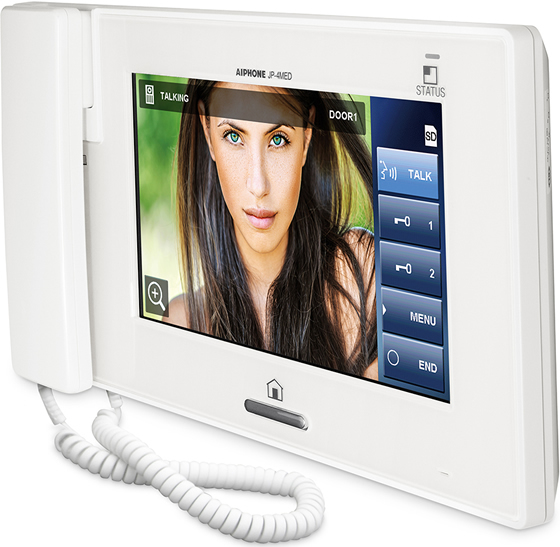 Every Aiphone model is covered by a 3 Year Warranty in Australia and we offer a Three Year Warranty on all installations carried out by Intercom Australia in addition to the warranty offered by Aiphone. Aiphone have been manufacturing intercoms since 1948 and they only make the best intercoms. With a vast range of colour video and audio models to suit domestic, residential and commercial applications there is sure to be an Aiphone model to suit your intercom needs.